Winter driving can be a difficult task. Driving in very cold conditions could also cause future problems for your car. That’s why it is important that you conduct basic checks of all of your car’s components. 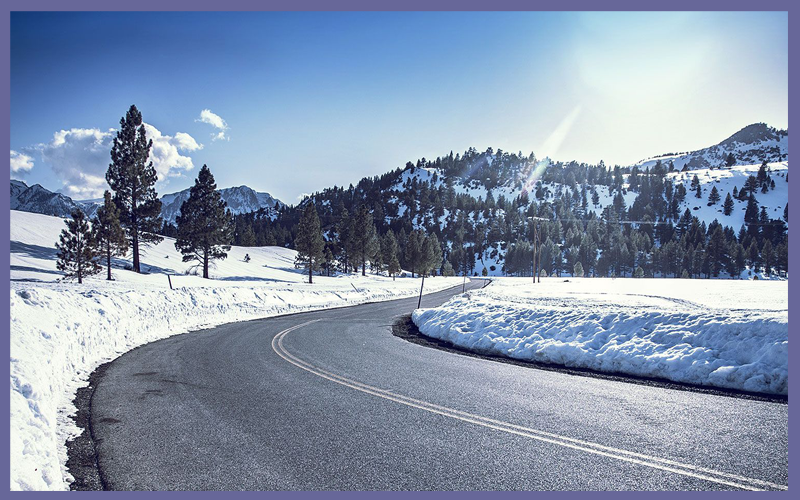 But, if you have never driven but are looking to enroll in a driving school to learn the basics of winter driving, then our tips below will give you a head start in what to be aware of as you prepare to winterize your car. One of the many driving lessons that you will learn in a driver training course is to keep a safe following distance. To achieve this in winter driving, you need to make sure your windshield wipers are perfect. This will allow you to see the car ahead of you to maintain your distance. Check them before you get in your car by looking for any cracking in the rubber or if they feel stiff. If you notice any of that, replace your wipers immediately. Not only does driving in slippery conditions spell trouble, but not having appropriate tires makes you look like you are looking for trouble. So make sure that when you notice the first sign of snow go ahead and make the change to good quality winter tires. Make sure to keep in mind that if you have used winter tires in the past, then it is critical that you check that the tread is still sufficient, this is because winter tire tread has a much shorter life. Although driving classes don’t teach you basic car knowledge. It is important to know that having a strong battery is crucia if planning to drive in winter conditions. No matter how cold it gets, it could take just a little to decrease your battery’s power. This is true for batteries that are a few years old already. To ensure your battery’s full potential, simply check the battery’s fluid level by removing its plastic caps. Refill using distilled water if it’s low. If your battery is maintenance-free you can check its charge through the indicator window near the top. If it doesn’t indicate a full charge then you’ll need to get a repair shop to look at it. There’s no doubt that oil thickens as it gets cold. This could prevent you from starting your car. Trust me, nobody wants to conduct driving lessons in a car that won’t turn over because of having cold oil. To prevent any embarrassment, make sure you have the appropriate oil suited for winter driving. Your cooling system has critical hoses that help to keep your car running nice and cool. That’s why you need to check all of its hoses leading from it. Check for any brittleness, leaking or cracks. This is accomplished by giving a gentle squeeze that’ll determine their continued firmness and pliability. Ok, imagine you’re getting ready for your next driving lessons and you and your instructor are walking towards your car. You both attempt to open your doors but are unable to. What’s wrong? Well, chances are you’re experiencing a freeze-up. This sometimes occurs when water freezes inside your door locks. This can be prevented by using a lock lubricant. To unfreeze your locks, pour a little antifreeze on them. There’s no doubt that salt and dirt from the snow covered roads will take a toll on your car’s paint. But, by simply giving it a good wax before snow falls will help in protecting the precious paint. Giving your alloy wheels and car’s underbody a good wash will also remove the salt deposits that cause rust. You can then apply wax to your alloy rims to prevent any corrosion. For the interior, make sure floormats are in place. The last thing you need is to have your driving school instructors tracking in dirt as they get into your car. As you sit and wait for your driver training to begin, go ahead and start your car to get your car warmed up. Just having your car idling for a few minutes will be plenty. Having your car idling will allow the car’s oil and other fluids to flow smoother. It is recommended that you gently drive your car at first. This will allow time for the temperature gauge to rise to its normal point. Keep this in mind because overheating can still occur. Completing a full fuel system draining will help protect your car during winter. This means you need to get fuel out of more than just the fuel tank. Many car models allow you to drain your car’s fuel, but you’ll need to check with your car’s manufacturer. After draining the fuel tank, you’ll have to disconnect the fuel lines from the tank, carburetor and fuel pump. After all fuel has been drained, the ignition coil must be disconnected to prevent firing then turn over the engine for a few seconds. Juswt because you have windshield wiper fluid in your system doesn’t mean it will be effective under cold conditions. It is still likely to freeze once it touches the windshield. Before winter hits, drain your fluid and add a special winter type of fluid. A fluid specially designed for winter will not freeze in cold weather. What it will actually do is help to remove snow and ice that is on your windshield. This will keep your vision clear as you take your driving school road tests. To get the most of your winter driving experience you’ll need to make sure your tires are in tip-top shape. This includes making sure both tire pressure and tread depth are adequate. Preferably, these quick checks should be accomplished before your on-road driver training instruction begins. Simply use a tire gauge and follow the tire pressure recommendations from your owner’s manual. After checking the pressure, run your fingers across the top of the tires tread and ensure the tread is even all around. Or, you can insert a coin into the tread and if the entire coin is seen then it’s time to get your tires replaced. Not knowing what may lay ahead during winter driving can be scary. That’s why emergency supplies can come in handy. You don’t have to keep these items in your car throughout the year, but prior to the onset of winter, make sure to check everything first. Your car’s antifreeze is it’s energy drink during winter months. As long as it stays full with it, then the more power and performance your car will give you without freezing. Having a frozen engine is not what you need or have time for plus, nobody wants to get stranded because their engine froze from lack of antifreeze. Most, if not all cars today have a timing belt. Checking it before cold weather sets in and replacing it if necessary is important. This is because cold weather can decrease its durability. Having a poor timing belt will hinder the performance of your engine. While a timing belt that snaps might cause your car to become inoperable. To prevent these issues, make sure you follow your owner’s manual for the recommended mileage for changes. The worst thing you can do is drive too fast for conditions. This safe practice is always taught in driving classes. For good reason too. So when you begin to view all of the photos of crashes during winter, you will know what caused them. Your driving classes will probably drill this into your head, but it’s a lot better than you becoming a statistic. What you need to do is make sure to increase your following distance especially when following other vehicles. Also, there is nothing wrong with driving half of the posted speed limit and having a long line of vehicles behind you. Chances are, they are using you as a guide for safety. With these tips, we hope that you will be better informed prior to completing your driving school. So what are you waiting for? Pick up your phone today and We’ll be happy to assist you.